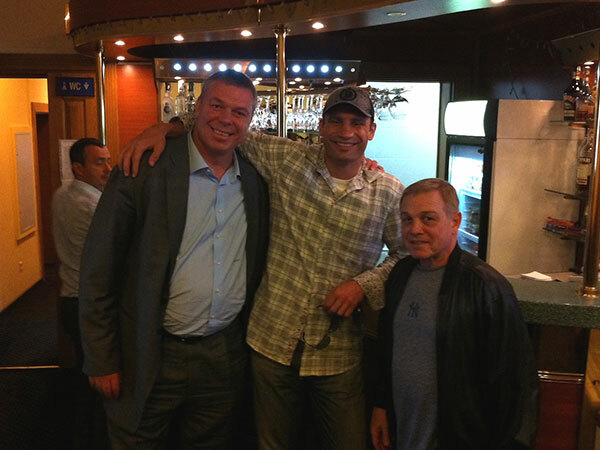 Sasha Volkov and I ran into the current WBC World Heavyweight Champion Vitali Klitschko at the airport in Kiev. Both Vitali and his brother Wladimir Klitschko (IBO, WBO, IBF and “The Ring” World Heavyweight Champion) compete for the Ukraine and have become international sports stars. Can’t wait to check out the documentary film titled Klitschko which examines their lives and accomplishments.